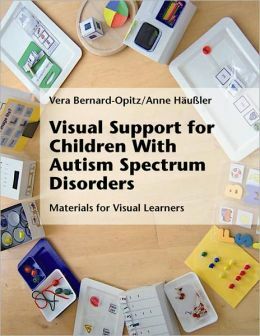 Visual Support for Children With Autism Spectrum Disorders by Vera Bernard-Opitz. With hundreds of colorful illustrations and step-by-step directions, this book lays the foundation for how to structure teaching environments, as well as offers countless examples of activities for students, ranging from basic skills, to reading and math, to social behavior. This entry was posted in Education, Our Library and tagged Autism Spectrum Disorder, books, Education, visual support. Bookmark the permalink.